In the restaurant business, we have tools for accelerating growth in Earnings Per Share (EPS). There are different kinds of leverage. Two of the most common being financial and operational. Financial leverage helps us increase the potential to grow EPS faster by using debt. It is measured by debt on the Balance Sheet. Operational leverage increases the potential to grow EPS faster by investment in fixed assets. It's measured by a ratio of fixed and variable costs. A third, and sometimes overlooked, type of leverage is information leverage. 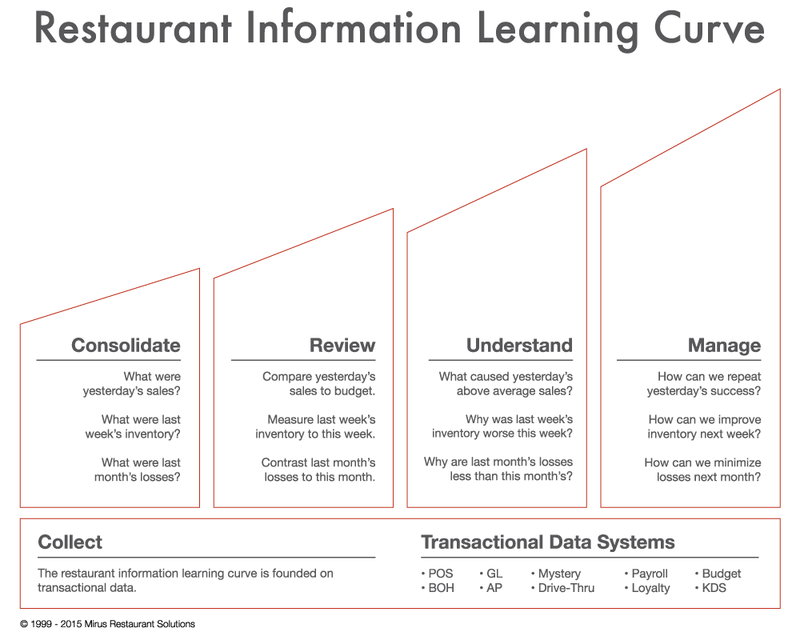 Information leverage increases the potential to grow EPS faster by expanding the quantity of information (or in the examples to follow, restaurant data) examined. According to Gartner, "you need to harness the power of information assets. Big data is causing enterprises to find new ways to leverage information sources to drive growth". Most upper level restaurant executives will talk about financial and operational leverage. Those who have more leverage and use data mining appropriately will outperform those that don't. How does Information Leverage work? It's pretty straight forward: More data examined = More leverage. The value of information increases when combined with other information. Customer feedback trends reveal more when combined with sales and labor trends, for example. Combining this information helps us reveal causal relationships. Another example: if you receive a bad service review but are able to see that the customer came in during a time when you had a really high sales volume but not enough staff on hand to serve everyone, you can make adjustments for improvements in the future. Information leverage is measured against an information learning curve. The more detailed and exhaustive the information examined, the greater the leverage. The perception of reality depends on where you are on that curve. Some restaurant operators believe their transactional systems are all they need to see what's going on in their restaurants and what's driving the check. Others understand the need for more and take action by combining data across ALL transactional data silos (reports gathered from each transactional system) to gain insight. The savvy ones are diving deeply into the detail to see things more clearly for restaurant profitability. Embrace the journey. Drive yourself towards more, not less, investigation of detail. 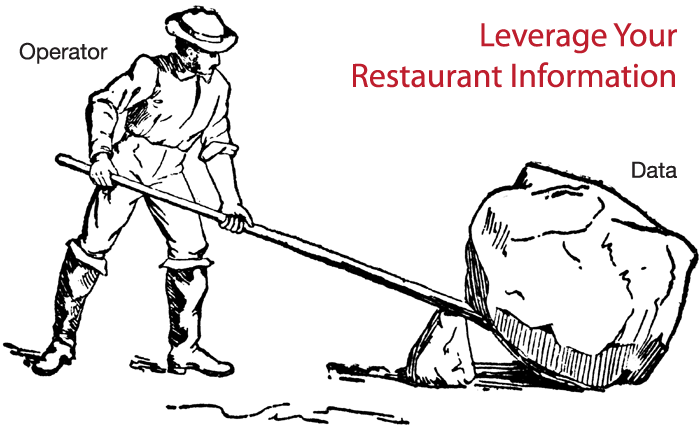 Are you currently leveraging your restaurant information?